Fia is traditional. With a twist. 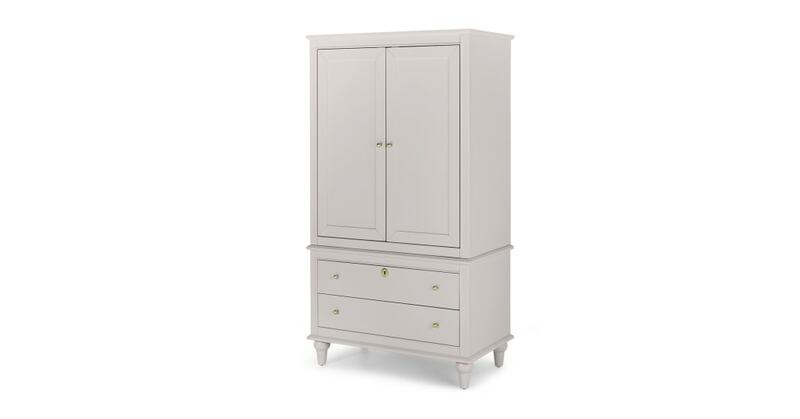 This shaker-style wardrobe refines storage in the bedroom. Compact yet spacious, Fia is fitted with two spacious drawers and hanging space to store your clothing. And with one lockable drawer, you can finally keep your prized possessions under lock and key.